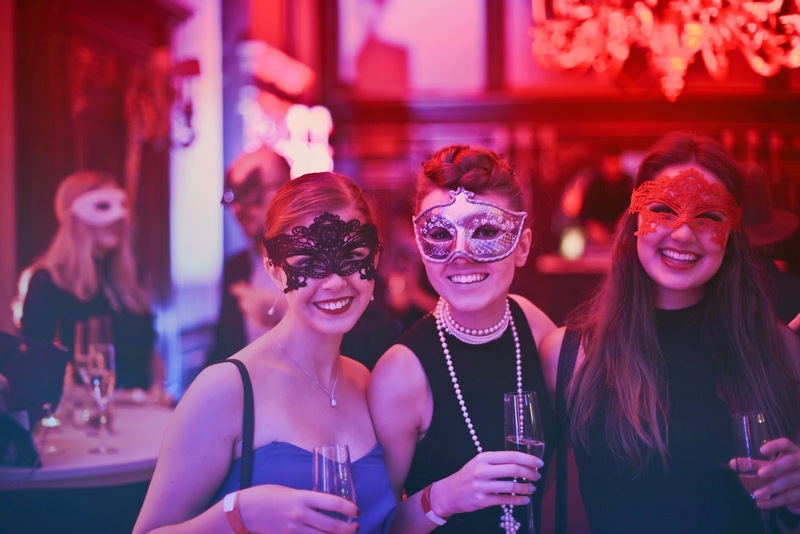 Learn how to plan the perfect company holiday party by following these 20 actionable tips. It's time to step up your game and throw a party that shows your team how much you care! The ‘company holiday party’ is second only to a yearly team building retreat in how little employee excitement it typically elicits. Employees can often see through the motives of most holiday parties—feeling like their employers are forced to throw an event together because it’s what they are ‘supposed to do’. Even less exciting for the average employee is the fact that the average corporate holiday party is more stuffy than fun, and it just feels like an extension of the workday (or it may even happen during the workday!). This negative perception of company holiday parties simply will not do. Today, we’re going to flip the script, giving employers tasked with party planning all of the tools and advice they need to plan the ultimate company holiday party. Jump straight to the checklist! We just talked about how the public perception of holiday parties is pretty negative, right? Well the numbers reflect this perception too. 1. 36% of professionals describe holiday parties as entertaining. That’s a small number that needs to go up! It’s time we get that number closer to zero! You can do quite a bit with $75 per person. The fact that employees are having about $75 spent on them for every holiday party and still not having fun means there must be something wrong with the party plan. 4. Minneapolis tops the list of cities where surveyed company holiday party attendees did not enjoy their experience. As an indoor amusement park with multiple holiday party venues located in the Twin Cities, this one stings! Minneapolis companies can certainly do a better job planning great parties for their teams! Regardless of public perception, most companies are still on board and at least trying to plan parties their employees will enjoy. This is encouraging news, but those parties need to improve! 6. In 2017, 59.5% planned to use an outside service such as an event planner to plan their party. This statistic shows that some companies are understanding that their core competencies are not party planning. It’s more likely that a holiday party planner will put together an experience your team will love. This percentage should be higher! Through statistics, we’ve just learned more about the fact that most employees could do without their company’s yearly holiday party. But we’ve also learned that most companies are still planning holiday parties for their employees, and are dedicating respectable budgets and resources to these parties. Why are company holiday parties so popular among employers? Believe it or not, negative public perceptions of holiday parties are the product of bad execution, and not an indictment on holiday company parties themselves. Sitting in cubicles and working hard to hit deadlines can get old for anyone. After a while, many employees start to associate their co-workers and their work environment exclusively with what they get paid to do every day. And while many people love their job and find their work rewarding, it’s still work. Company holiday parties are a great way to temporarily disassociate everything that happens at work with, well… work! That includes the stress, the deadlines, and the power dynamics. They provide a way to wipe the slate clean for a night, and focus on seeing your co-workers as people. This goes hand in hand with the previous point. Employees who know and understand each other are more successful in the workplace. You may be thinking, “well they get plenty of chances to talk at work.” While that’s great, it’s not the same. Company holiday parties help build rapport and strengthen relationships, making it more likely that your employees will be more motivated to come into work and collaborate with their peers. What about the employees that never really get a chance to get to know each other at work? Do the marketing and sales departments know each other well? If not, it may be beneficial that they do, because it could create new opportunities to share insights and improve the company. The same goes for employees and managers or directors. An environment like a holiday party can serve as the perfect opportunity for ambitious yet under-the-radar employees to network with their superiors—or even just get to know them! Most importantly, remember that your employees work hard, and they deserve recognition for that hard work. A well-planned company holiday party will leave employees feeling appreciated, and confident in the fact that their company is willing to go the extra mile to make them feel welcome and help them enjoy their career. In short, company parties are an excellent employee retention tool. We’ve established that company holiday parties can have an extremely positive impact on things like company morale and employee retention, but we’ve also learned that many employees are wary of company holiday parties because of bad ones they’ve attended in the past. Business owners and party planners need to step up their game! This checklist of 20 tips is everything you need to plan the perfect corporate holiday party. The best way to get buy-in from your employees on your holiday party plans is to include them as planners too! It also happens to be the best way to ensure they will attend. The best way to go about this is to have a few dates in mind and create a poll. Choosing the date and time with the most availability will show your employees that they are heard. It’s all too common for holiday parties to be announced with no warning to employees—many of whom have existing plans with family and friends over the busy holiday time. Formal invitations are an excellent way to make an event more enticing. After all, it would be inappropriate to invite someone to a wedding with a text message, right? Well, the same applies for office parties. An office-wide memo is too impersonal and makes the whole ordeal feel like a chore. Don’t worry, that doesn’t mean you have to shell out thousands on wedding-style invitations. A simple postcard will do. If your budget won’t allow for a paper invitation, there’s nothing wrong with a thoughtful and well-designed Evite. The best way to tank your number of attendees is to exclude significant others. The holidays are a time for family, and leaving your family to go to a company event doesn’t really scream fun. Not to mention, it feels quite a bit like work. Inviting significant others is also a great way to build rapport with your employees and learn more about them. In addition, it can create potential networking opportunities. Your budget is crucial as it will define just about every aspect of your party, from the type of food to the type of venue, as well as the activities that will be available to attendees. Once you have a budget, you may not know where to start in choosing how to allocate it. In this case, it helps to form a priority list. Decide the areas in which spending a little more will lead to a better party for your team. For example, if you want live music, you may need to allocate a large portion of your budget to entertainment in order to hire a band or a group of performers. This will naturally decrease your food budget, so you may need to simplify or reduce costs from those elements of the party. Be sure have an emergency fund left over in case you incur any extra costs along the way. Just as it’s important to include your employees in planning a date and time for your party, it’s equally important to get their input on what they would like to do. You can create a poll in this case as well, using some of the party elements discussed in tip #4. Which type of event would you prefer? This way, you can budget appropriately while catering to the preferences of your employees. Company holiday parties don’t have to be a standard “Friday evening after work” event. Really, they can happen any time. As always, you will want to take the temperature on your team’s availability and preferences before making a final decision. Your venue will truly define the experience, but you shouldn’t stress over finding the perfect venue. And it certainly doesn’t have to be fancy, like the picture above! The considerations you’ve already made, such as listening to the preferences of your employees and planning your budget around those priorities, should make it easy to land on the perfect spot. Whether you host at the office, a restaurant, a bowling alley or your own home, the most important part is making it fun! Most employers who are responsible for planning company holiday parties are not well-versed in event planning, so it it’s not your area of expertise, that’s ok! In fact, many companies could benefit from the advice, experience and planning skills of an event planner. Getting a company event planner involved early in the planning stages can help you ensure your party will go off without a hitch, all while providing you with creative ideas to make your event more fun and engaging. It’s important to be sure the venue you choose is convenient for all of your employees to get to. In addition, you may want to think about providing rides in the form of a shuttle service, or facilitating the organization of a carpool system. Whether you’re hosting at a venue with a restaurant on-site or bringing in a catering company, the food can often make or break a party. Often, the theme of your party will define the type of food you will be able to serve. If your budget prioritizes activities and attractions, you may not have the resources to bring in a 5-course catered meal. If food is a priority, be sure to pick a venue and/or caterer that provides a wide array of dishes to appeal to different tastes. Remember, your options aren’t limited to a sit-down meal with servers or no meal at all. Options like a potluck or a buffet are perfectly fine as well! The safety and respect of your employees is paramount, so any menu needs to be cross-referenced with an accurate list of dietary restrictions provided by your employees. You can ask your employees to specify their dietary restrictions through an e-vite or a mail-back invitation—or you can send a team-wide email asking for preferences and restrictions. As a rule of thumb, try to pick a venue or caterer that provides a vast array of options and includes some vegetarian and gluten or other allergen free dishes. You never want an employee to feel neglected, and you definitely don’t want to cause a health emergency! Alcohol is definitely not a requirement for a company holiday party, but it can certainly be a nice thing to include. Whether or not you choose to include alcohol will be largely dependant on the time of day and the theme of your party. Typically, it is expected—although by no means required—that alcohol will be served at an evening event. 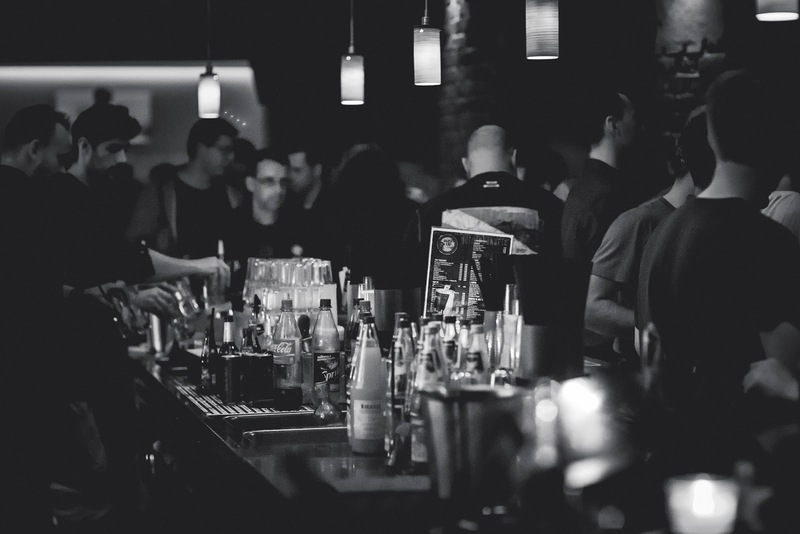 Employees may be a bit bashful when it comes to alcohol consumption at work-sponsored events, so be sure they know what’s going on. Avoid the awkwardness by making it abundantly clear how this will work before the event even starts. Pop two drink tickets in every invitation, or place them underneath each attendees name tag at the door to the party. If there’s an open bar, be sure to specify that in the invitation, along with the hours. Communication is the best way to avoid confusion. Regardless of where you hold your party, there needs to be some sort of entertainment—even if that entertainment is just the background music at a nice restaurant and a few short speeches. 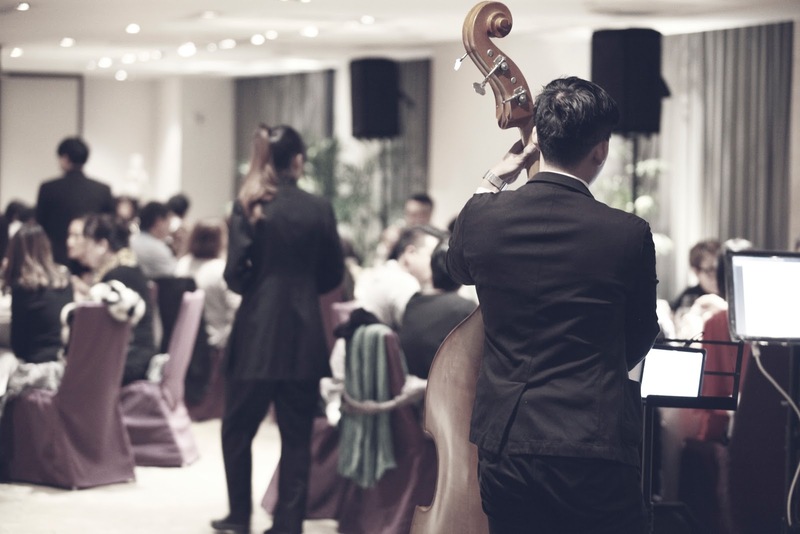 If you are planning a larger-scale party with live entertainment, be sure you get in contact with a band or DJ at least a few months before the date of the party. Live entertainment books up quickly. 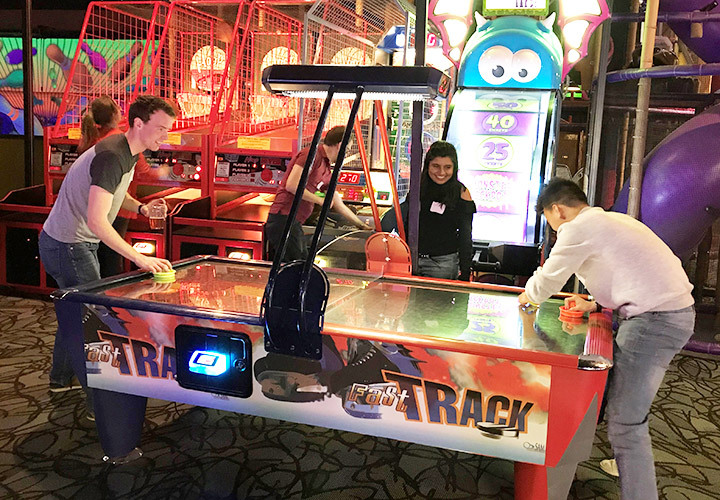 Another great option is to plan your party at a location where the entertainment is already built in, in the form of awesome attractions. Why not give your employees an experience to remember by taking them on an axe throwing, laser tag or go karting excursion? It’s important to capture the fun so that your employees will remember how much they enjoyed the party. You can also use photographs from the party for HR purposes, whether you publish them in new hire manuals or on social media. Showing potential applicants your fun and positive company culture can go a long way in attracting good talent. Your photographer doesn’t have to be a pro. Find an employee or manager with a knack for photography and ask if they would be willing to snap a few photos. It will go a long way. It doesn’t need to be extravagant, but it’s an excellent touch. A holiday party should include goody bags for all attendees. These can contain anything from candy and gift cards to small gift baskets with holiday-themed ingredients. Try to steer clear of company-themed swag, as this will make it seem like you’re promoting the company rather than giving a nice, well-deserved gift to your employees. In some cases, this will require that you hire an A/V company in advance—but some venues already have available A/V equipment on-site. Be sure that if you plan on including speeches, the speakers are visible and audible to all attendees, and there have been specific times allocated throughout the event for these speeches to occur. These tips don’t necessarily have to do with party planning, but they are elements that you should most certainly plan to implement in your party. 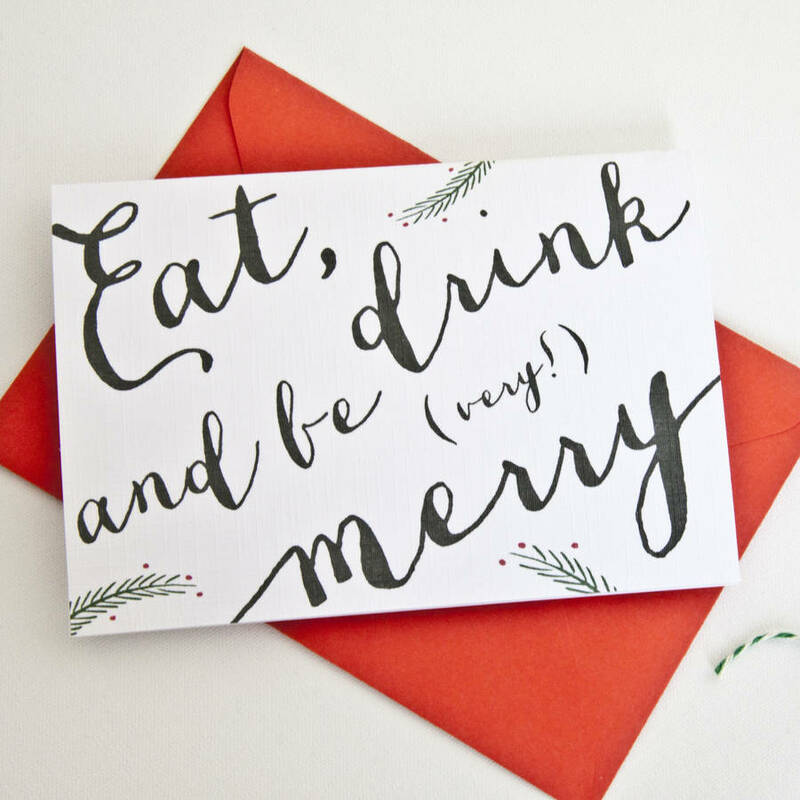 A company holiday party is about giving thanks—much like the holidays. Be sure your employees know you are thankful for their attendance and the work that they put in day in and day out to make events like the one you are hosting possible. There’s no space for that type of conversation at a company holiday party. While it is a work event and should be treated appropriately, try not to make it all about work, because that will kill the party before it even begins. Sure, it may feel natural to have work-related conversations, but try to keep them to a minimum, especially if you’re the boss. Prizes and awards are a great way to build up excitement and make sure everyone is engaged in the party. These awards can be work-related or they can come from a raffle. It’s important for employers to take the time to provide recognition at company holiday parties. This recognition can be a series of personal awards, or even just kind words directed at individuals whose performance goes above and beyond expectations. Employee recognition is a great way to reinforce the fact that company holiday parties are truly about the acknowledgement of employees’ hard work. At the end of the day, employees will remember the holiday party you planned by how fun it was. If they felt recognized and appreciated and were able to enjoy some great food, conversation and activities along the way, chances are you got it right! A company holiday party should never feel like a chore, whether you’re the planner or an attendee. Find a great venue, work with an experienced party planner, and plan a company holiday party your employees will never forget!